Laurel Mountain Elementary and Forest Creek Elementary held their “walk to read” events in January. Other schools plan walks later in the year. The walks honor students in Uganda who walk long distances to school and read upon arrival. The walk idea was conceived three years ago by Jan Richards, principal at Laurel Mountain Elementary, where Executive Director Trudy Marshall served as librarian for 10 years. LME helped facilitate the first Ugandan library in 2005 and has continued their support through kind words, books, and funding each year. 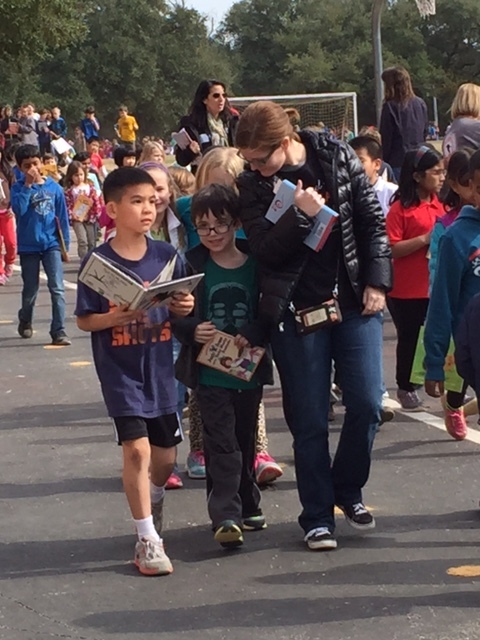 For two weeks preceding the walk LME students collected donations from family and friends, brought them to school on walk day, and then celebrated with “walk to read” programs.